This is a great size for most players. It is a little larger than an OM (Orchestra Model), It fits in the middle of my model lineup. 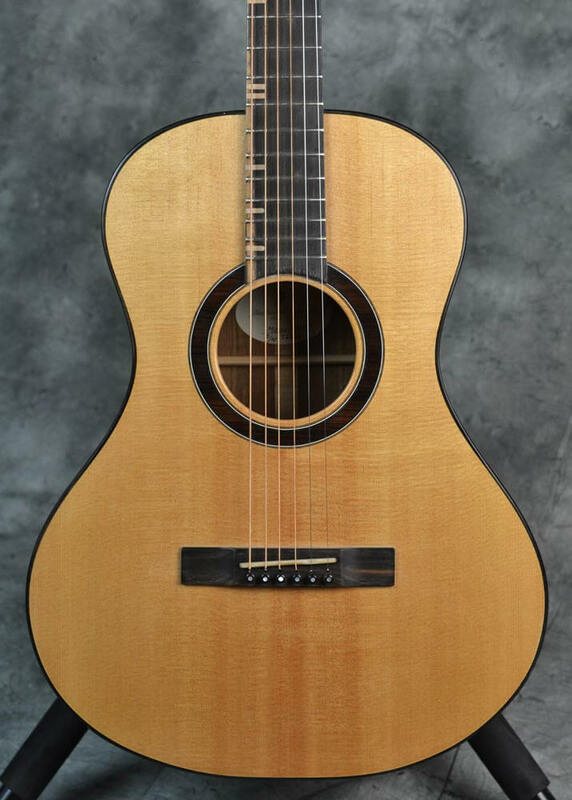 A great guitar for finger style players, it can hold its own during serious strumming. The Sitka top on this one was particularly lovely, with lots of medullary rays and significant stiffness. The tonal range is awesome – great lows, and clean, bright treble. 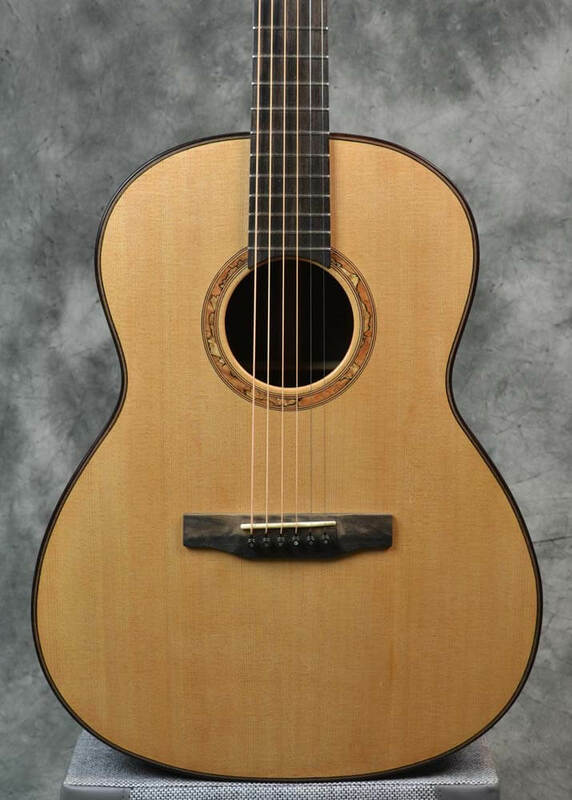 Click on a guitar below to view more details on that model.